Posted on January 9, 2018 at 6:01 am. Another way to embrace the outdoors this winter: snowshoe running. Join Heather and co-host Cassy Stone as they talk about their love of running in the snow — on snowshoes. They welcome guests Jeff Gaft, race director of the Bigfoot Snowshoe 10K & 5K race held later this month on the east side of Traverse City, and Jeb Stone, a northern Michigan runner who is a 3-time winner of the Bigfoot race (and has the Sasquatch statues that are race prizes to prove it). 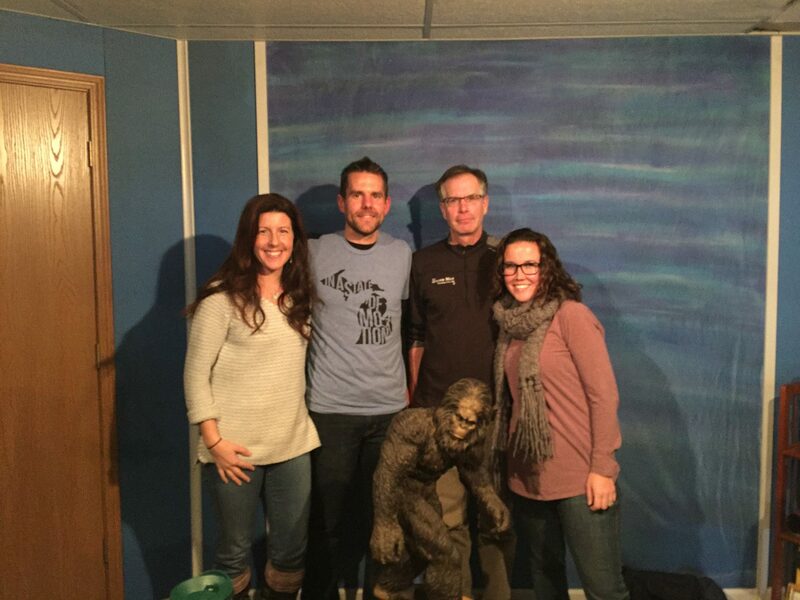 These four runners (Jeb is Cassy’s “better half,” as he jokes on the show) talk about why they enjoy running on snowshoes, tips for getting started and finding the right pair of snowshoes. Jeb also shares a few racing tips for anyone looking to get out there and challenge themselves in a snowshoe race. Jeff, who is a manager at Running Fit in Traverse City, gives inside information the January snowshoe racing event — the Bigfoot takes place Saturday, Jan. 20 at Timber Ridge Resort — as well as interesting details about how this race got started some 20 years ago. Be sure to listen through the end, when Heather offers up a special race discount code for a snowshoe race held in the U.P. In February. The Tahquamenon Snowshoe 10K & 5K, organized by Great Lakes Endurance, is among her favorite races and she hopes to head north to take part in it again this year. Finally, a listener informed Heather of another snowshoe running event this winter: a 3.5-mile or 7-mile snowshoe race part of the Meijer State Games festivities on Feb. 20 in Muskegon. The race takes place on some of the most challenging snowshoe terrain in the state, offering views of Lake Michigan and dunes. 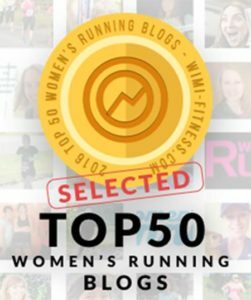 *If you enjoy what you’re hearing on the Michigan Runner Girl show, I’d be so grateful if you’d take a few moments to write a review on iTunes. This will help more runners and Michigan lovers like yourself find the podcasts. Thank you!! Also, the quickest way to get the podcasts is to subscribe to the show via iTunes. Clicking this link will automatically download the shows to your iTunes account.